I must admit that I have been a bit lazy the past few weeks and blogging was put on the backburner. Fishing from that dusty bag of good recipes in one corner of my brain, while also rummaging through image folders on my computer for corresponding pictures…. Phew a lot of hardwork!! But I am once again back with a gusto and plan to finish my backlog of recipes soon. 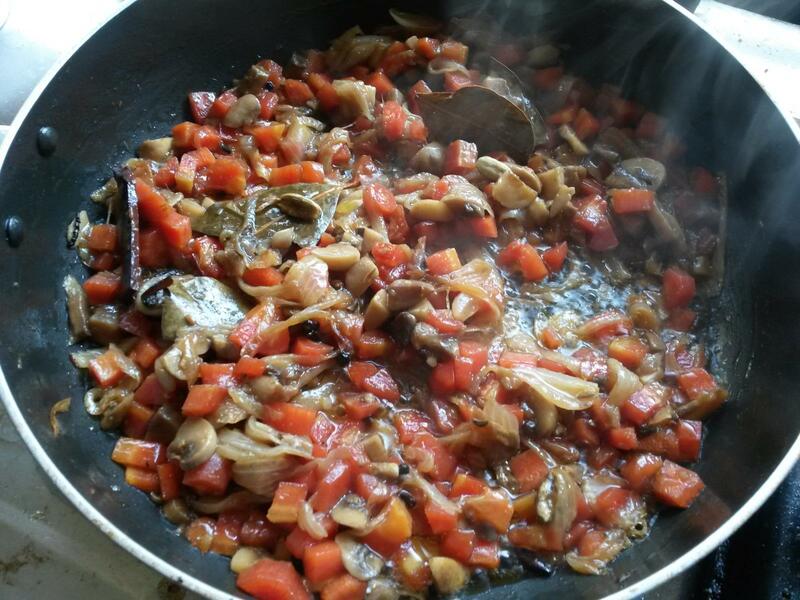 Perhaps I should start blogging as I cook… Any advice from seasoned bloggers?? My dad loves biryani and different types of vegetarian pulao preparations. I guess it stems from a general love of rice. This is a pulao I made on his last birthday. He likes a simple home-made fare… and such vegetable pulao one pot dishes with some raita or papad are high on his favorites list. Really, you can add whatever vegetables you like. I prefer to keep it simple with a combination of few select vegetables. Here, I only had mushrooms and carrots; the carrots certainly adding a hint of brightness to the rice. It is a humble, light, satisfying meal with a touch of aromatic spices. Firstly, cook the basmati rice as per package instructions or as explained below and let it cool. In a pan, heat ghee, add the whole spices. Take care to not let the spices burn. 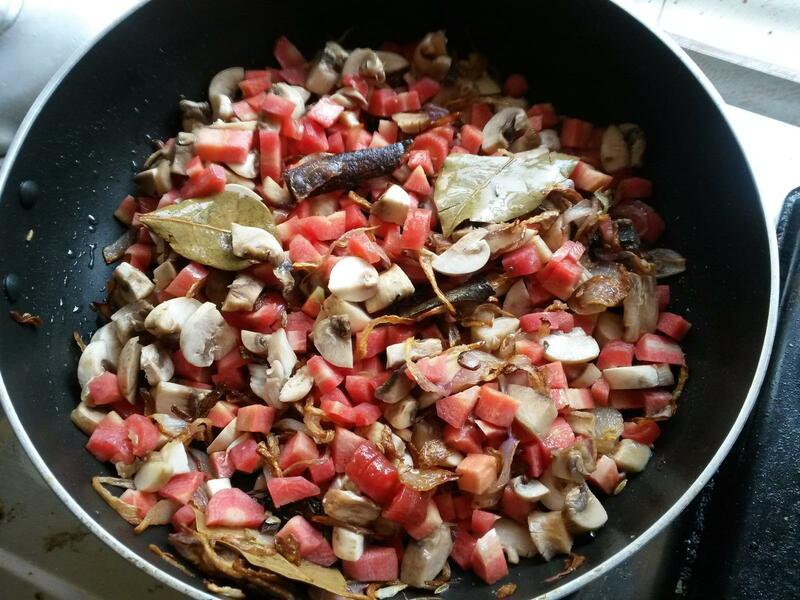 As soon as the spices are aromatic, add sliced onions and fry till almost golden brown. Add the ginger-garlic paste and fry for 2 minutes. Add the carrots first and stir fry for 5 minutes followed by the mushrooms. Sprinkle very little water (as the mushrooms will sweat and let out water of their own), cook on medium flame till done. Set aside. In a smaller pan, heat the remaining ghee and fry the rest of the onions till golden brown. Remove and let it drain on kitchen towel. To the same pan, add raisins, if using, and fry till they are plump and start to turn brown. 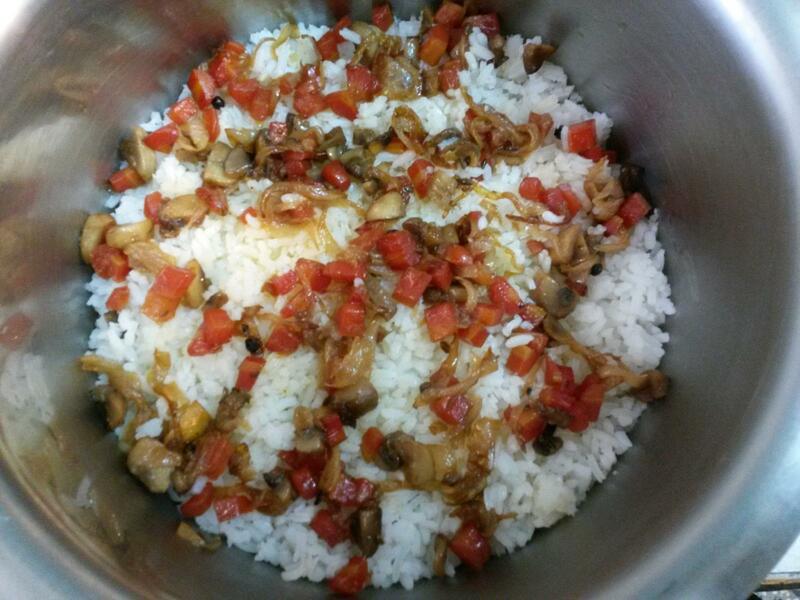 In a deep vessel, layer the cooked rice, followed by the vegetable mixture. Repeat the layering process finally ending with a layer of rice. 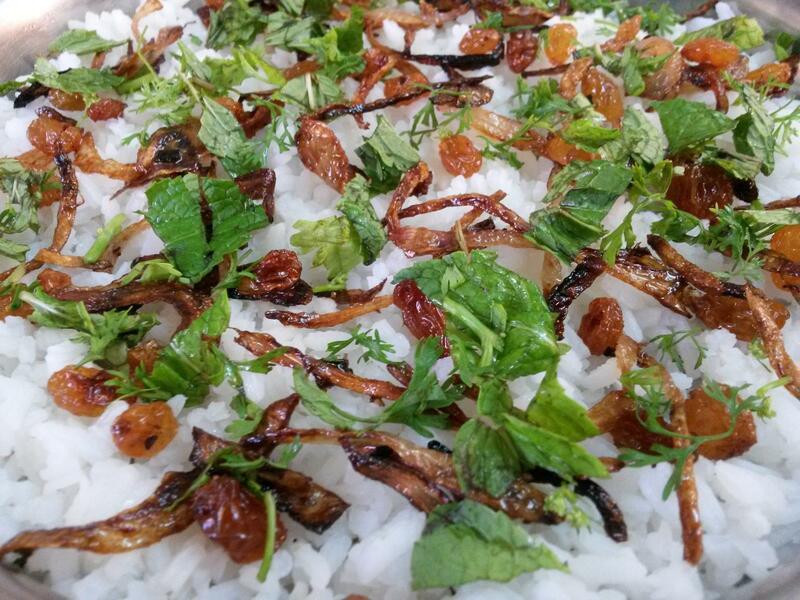 Top it with the fried onions, raisins, mint and coriander leaves. Close the lid and keep the vessel on a flat pan. Place the pan along with the vessel on low flame for around 15-20 mins maximum. 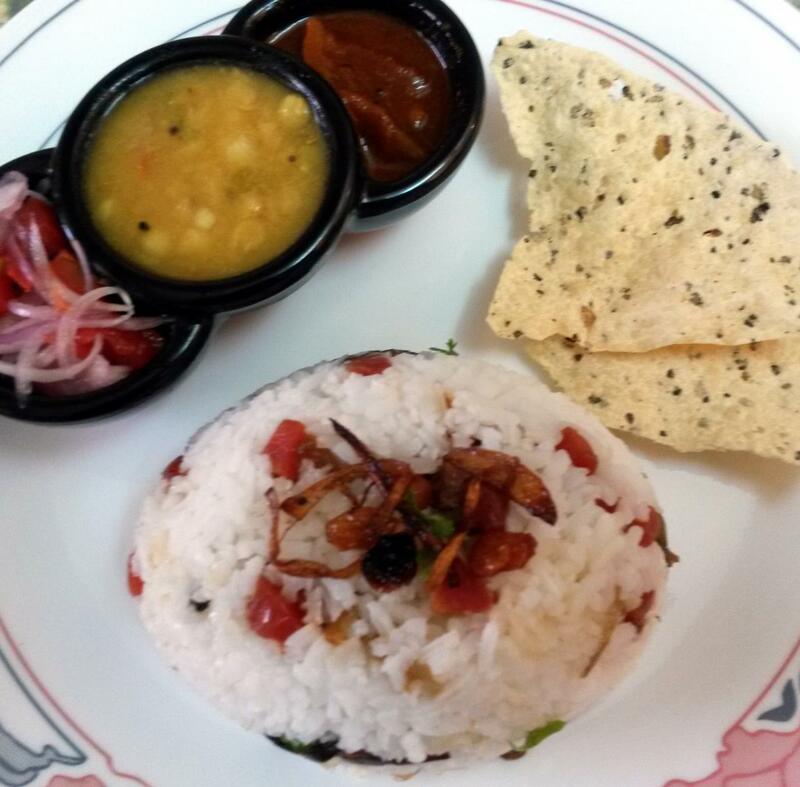 Serve warm with simple sides such as pickle, pappad or dal. 3 cups Basmati rice – Wash several times and drain. Cook in a deep pan, with 6 cups of water with salt and 1 tblsp ghee till almost done. Cook rice as per package instructions or as given above. Fluff it up with a fork and let it cool. 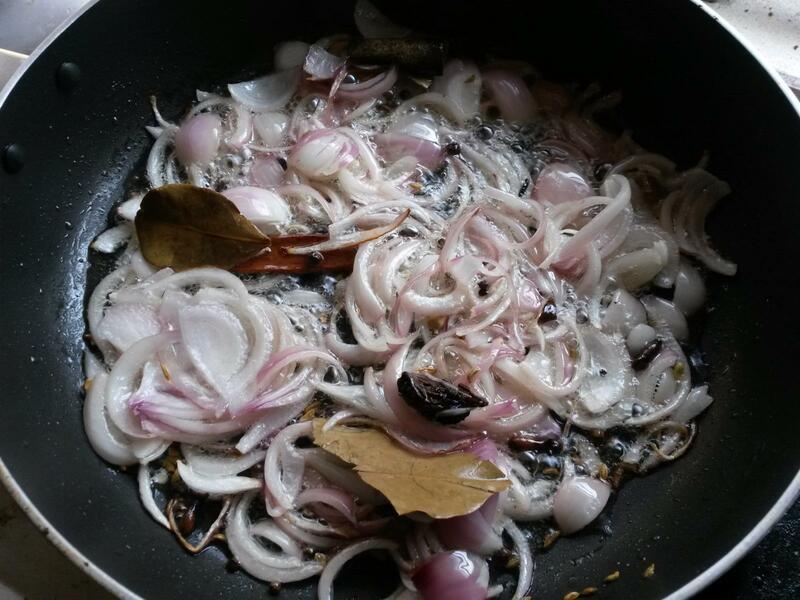 In a pan heat 7 tblsps ghee and add the whole spices and then add 2 ½ sliced onions and fry till almost golden brown. Add ginger garlic paste and sauté for two minutes. Add the carrots and fry for 5 mins. Then add mushrooms. Sprinkle little water and cook till done on a medium flame. Keep aside. Add raisins to the same pan, fry till they puff up and turn slightly brown. Keep this aside too. In a deep vessel, first layer the rice at the bottom followed by the vegetable mix, repeat the layering process and end with final layer of rice on the top. Sprinkle the fried onions, mint and coriander leaves and raisins. Close the lid and keep this vessel on a flat pan and keep it on low flame for around 15-20 mins max. 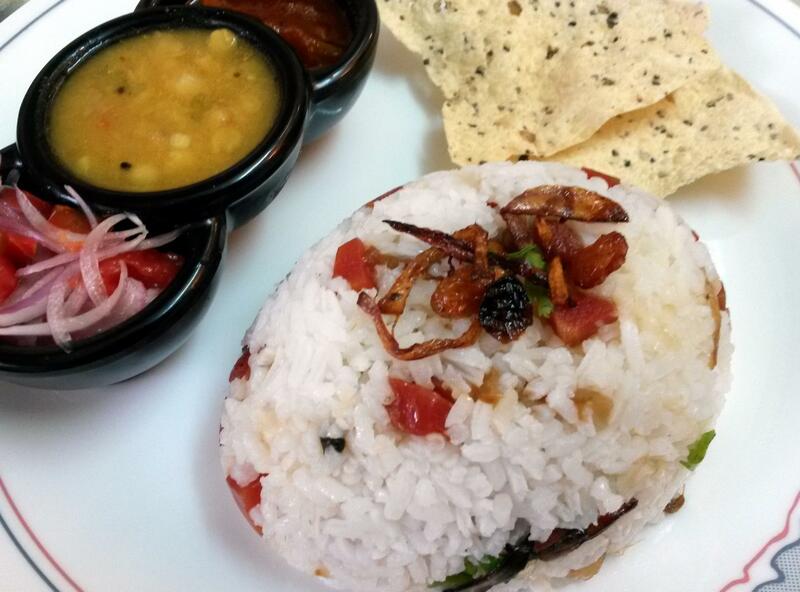 This helps to keep the rice warm and you can serve it hot with dal or raita, pickle/achaar and papad/poppadums. This sounds like a very delicious meal. I love rice cooked in any form. Thanks for sharing! 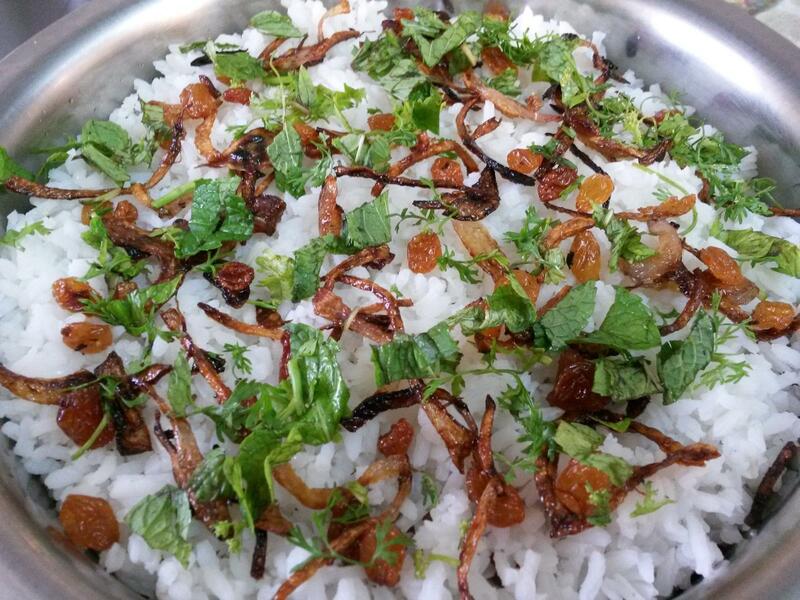 Carrot and mushroom are such a delightful combination for pulao, and I love how well they come together in your pictures, drooling over the fried onion topping!